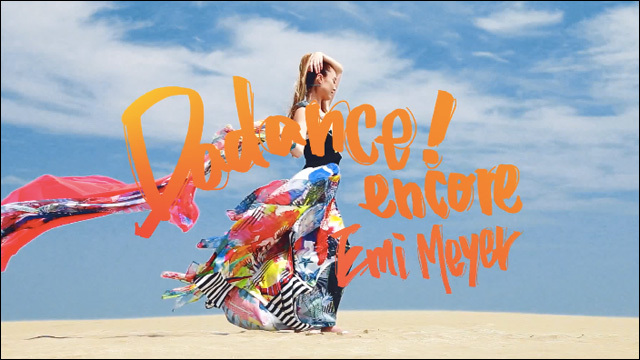 Music Video: Emi Meyer gets colorful with "Da Dance! Encore"
Singer/songwriter Emi Meyer, whose music I adore, just dropped the new music video "Da Dance! ENCORE," a remixed track from her latest album with Seiichi Nagai. It's entirely in Japanese, and I don't understand a word of it, but it's fun and colorful and joyous (and apparently sponsored by Vita Coco). It's also kind of a different sound for Emi, but she says the song is her favorite to date. If you like the song, the single is available on iTunes, as well as the self-titled new album from Emi Meyer & Seiichi Nagai. For further info on Emi Meyer and her music, follow her updates on Facebook and Tumblr.